If you are convicted of a DUI, your auto insurance company has the right to raise your auto insurance rates – regardless of whether or not you are due for a renewal. While you may be initially concerned with going to jail during your arrest, you should also be concerned with the true consequences of a DUI conviction, if you are found guilty. Higher insurance rates are not a statutory punishment, but they are a costly punishment. 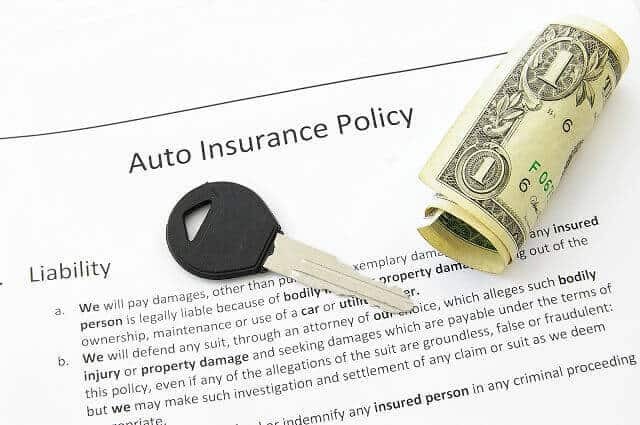 In some cases, you could pay substantially more each month to insure your vehicle – and, depending on how many past convictions you have, your insurer may choose to no longer offer you coverage at all. While your insurance is a contractual agreement, they only agree to insure you for a specific rate under certain conditions. Your insurance documents likely have a provision, which allows them to raise your rates despite being in the middle of a contract. They are, however, limited as to how high they can raise those rates, and are required by law to provide you with a notification of the increase before doing so. If you have been with the same insurer for years, they may still raise your rates – but your insurance agent may be able to discuss a lower rate with the insurer. You will want to discuss with that agent the potential price increase, based on your conviction, and possibly get a quote for the amount that you will be expected to pay – if the insurer does choose to increase. Your driving record will show a DUI conviction; therefore, if you choose to move to another insurer, they too will notice the conviction and offer insurance at a higher premium. If you are renewing, your insurer may periodically check your driving record – so they could find the DUI, even if you do not report it to them. In most cases, a DUI results in a higher premium because your insurer considers you a higher risk. Points are added to your driving history because of your DUI, and the more points you have than the average driver, the higher risk you are to insure. Some companies will not insure anyone with a DUI conviction, because they don’t offer coverage to high-risk drivers. You may have to file an SR-22 if you are convicted of a DUI. SR-22s are statements of financial responsibility that serves as proof that you have the proper insurance amounts, which the state requires you to have. Your insurance company can file the SR-22 for you, proving that you have such coverage. You may have to have an active SR-22 for several years – depending on your conviction. If you have been arrested for a DUI, do not just think about jail and potential fines – think about the long-term consequences. You need an attorney who can help you with your DUI case, and possibly avoid these consequences. Contact me, Christian A. Schwaner, P.C., for help. As a former prosecutor, I know how the state proceeds with DUI cases and how aggressive district attorneys can be. Let me help you avoid these long-term consequences. Schedule a consultation today at 719-577-9700 or fill out our online contact form with your questions.